If your projector has two male prongs next to each other on the back of the machine this is the cord you need, even if your projector is not made by Argus. This cord fits all slide projectors that have two male prongs and use a 2 prong female cord. 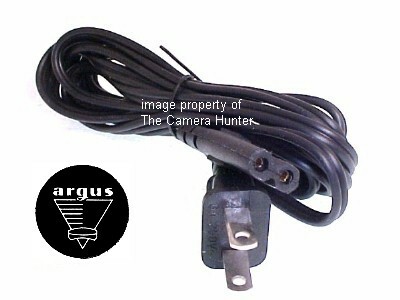 This is a 6 ft. replacement power cord for all of the Argus Slide Projectors. The projectors use a unique plug and not everyone selling them is selling the OEM (original equipment manufacturer) cord like I am. The cord is heavy duty gauge designed specifically for the Argus Projectors. If you get the incorrect cord you run the risk of fire or damage to the projector. If your projector has two male prongs next to each other on the back of the machine this is the cord you need, even if your projector is not made by Kodak. This cord fits all slide projectors that have two male prongs and use a 2 prong female cord. The projectors use a unique plug and not everyone selling them is selling the OEM (original equipment manufacturer) cord like I am. 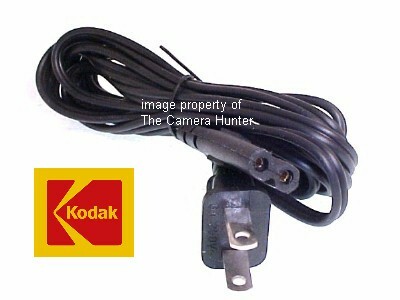 The cord is heavy duty gauge designed specifically for the Kodak Projectors. If you get the incorrect cord you run the risk of fire or damage to the projector. 550, 550R, 600, 600H, 650, 650H, 650H-K, 700, 750, 750H, 800, 800H, 760, 760H, 850, 850H, 860, 860H, 840H, 850H-K, and 850H. If your projector has two male prongs next to each other on the back of the machine this is the cord you need, even if your projector is not made by Sawyers. This cord fits all slide projectors that have two male prongs and use a 2 prong female cord. 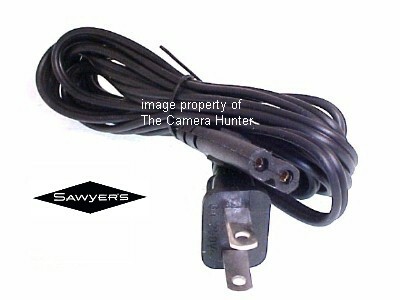 This is a 6 ft. replacement power cord for all of the Sawyers Slide Projectors. I don't know all of the models numbers, they made many different ones. The projectors use a unique plug and not everyone selling them is selling the OEM (original equipment manufacturer) cord like I am. The cord is heavy duty gauge designed specifically for the Sawyers Projectors. If you get the incorrect cord you run the risk of fire or damage to the projector.